Meringue Bake Shop is a made-to-order cupcake shop that serves Orange County. Meringue makes cupcakes for birthdays, weddings, engagement parties, baby showers, bridal parties, pretty much any party or special event! I have been following Meringue on their blog for a while and am impressed with the creative and yummy-looking cupcakes that they post about. 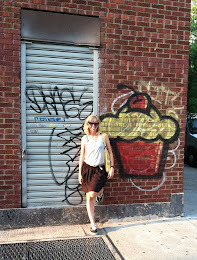 Last Friday's post detailed exciting news that Meringue Bake Shop's mini cupcakes would be sold in a store. 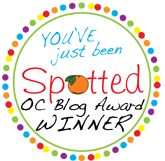 And not just any store....Bliss Natural Frozen Yogurt in Orange! More cupcakes being sold in Orange (my home) is exciting news for me and the many other people who are looking for cupcakes in north Orange County! By some miracle I didn't have any plans Friday after work so I made a pit stop at Bliss on my way home. 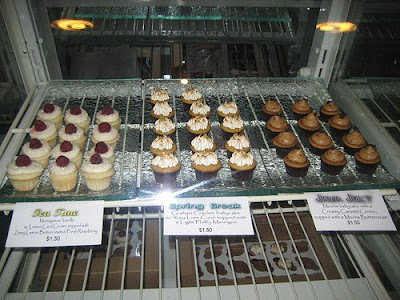 The mini cupcakes had the whole display case to themselves. There were six flavors available to choose from. 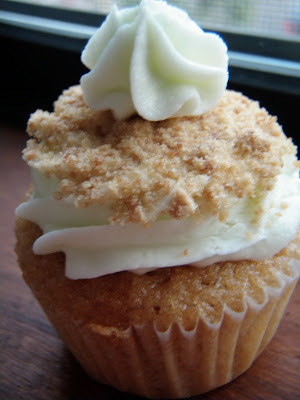 Spring Break: Graham cracker cupcake topped with key lime buttercream frosting. This was my favorite cupcake of the ones I tried. It's not too often that cupcakes have a slight tart flavor. The key lime flavoring was wonderful. The aspect that I liked the most was that the frosting was an actual buttercream frosting. Sometimes mini cupcakes have that whipped cream type frosting, which makes them seem cheap. Not these cupcakes! Yummy! 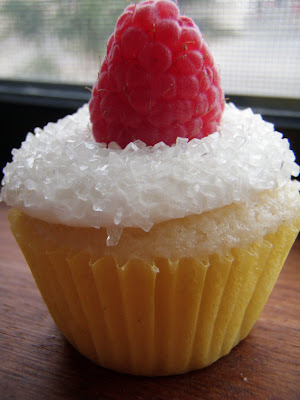 Tea Time: Vanilla cupcake filled with lemon curd and topped with lemon buttercream and a raspberry. It is very unlike me to enjoy the fruit cupcakes, but I just couldn't help myself. These cupcakes looked delicious. And luckily, they tasted delicious too! I love the sugar crystals on top. They really make a cupcake look fancy and add a nice little crunch. Also, the lemon curd in the middle was tasty too. It's always fun to find filling in a cupcake. 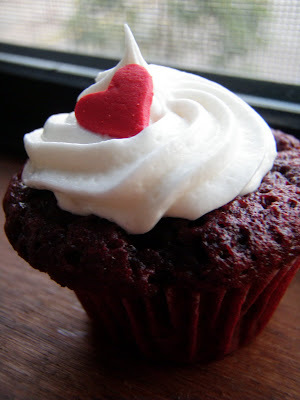 Last, but not least, Queen of Hearts: Red velvet cupcake with cream cheese buttercream frosting. As I have been expanding my flavor pallette of cupcakes, I have gained some new favorites, but red velvet will always stay at the top of my list. Meringue's red velvet cupcake was no exception. Thank you for keeping my red velvet love alive! 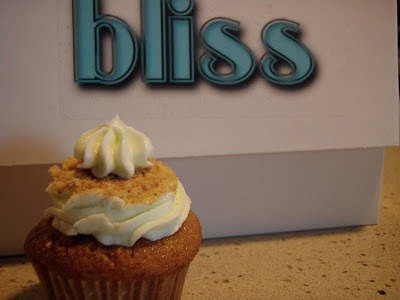 Meringue Bake Shop's mini cupcakes are available at Bliss Natural Frozen Yogurt on Tustin Avenue, next to the Village at Orange. The mini cupcakes are $1.50 each. Kristin of Meringue Bake Shop said that they sell regular-sized cupcakes by special order from their website, starting at $27/dozen. They also have many, many other yummy-sounding flavors on their menu. Enjoy! 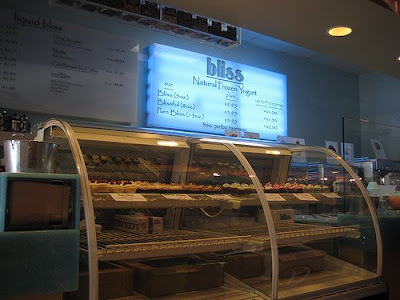 NOTE: Meringue Bake Shop no longer sells their cupcakes at Bliss. Contact Kristin directly to place an order. thanks for featuring me!! have you gone back again to try the new Hot Tamale cupcake? Kristin- I stopped by again on Saturday afternoon and picked up a few cupcakes for my mom. (She loved them, by the way!) I must have went too late in the day for Hot Tamale. Next time. I haven't tried the yogurt yet. Cupcakes seem to always be my priority. I will have to try the yogurt soon.